People start asking some time around kindergarten. It’s the fault of those LL Bean monogrammed backpacks, so ubiquitous to the elementary school experience. “What does the E stand for?” I asked a friend as she set down her Nacho Cheese Orange bag, emblazoned with CES. This launched a class-wide discussion of middle names. A scientist even at a young age, I found that the kids with the LL Bean backpacks tended to have similar monikers. “Elizabeth,” said Nacho Cheese, sitting next to me. “Mary,” said Lake Placid Blue, Pink Carnation, and Lima Bean Green, a trifecta of normalcy. It was suddenly my turn. I had an Oilily backpack that my mother purchased in The Netherlands, covered with a psychedelic, multicolored floral pattern. “Like the country?” said the teacher. “No. The tunnel,” I replied, squirming. I took a breath. The teacher never asked the Marys and Elizabeths and Catherines why they were so ordinary. But the name Holland, belonging to the little girl in the back with the strange bookbag, was always a ripe topic for discussion. On the day I was born, my parents and older sister were in New York at a photo shoot. My sister and father (full-time engineer) were hired as models in a soap commercial that my mother Simply Could Not Miss, despite the fact that it was late November and she was experiencing contractions. She took deep breaths as she sat behind the camera, resolute but in obvious pain. My father, in a rare burst of authority over his headstrong wife, announced that they were driving her to the hospital this very minute. Against my obvious wishes to be a native New Yorker, they climbed into my father’s orange hatchback Saab towards their New Jersey hospital. But the Holland Tunnel traffic had other plans: my father, mother, and two-year-old sister sat in gridlock for far too long. My arrival happened shortly after they wheeled my mother into the delivery room. Two days later, my mother was packed and fully prepared to leave the maternity ward. In keeping with her tendency to put things off until the last minute, the space where she was supposed to put my name—a name she was supposed to have scrutinized, presented to a psychic for a star consultation, and discussed with her therapist regarding its possible Freudian ramifications on my future psyche— (“Parnika is a fine name, but she might have an unbalanced Id—”) was blank. So, she called for help. She dialed her older sister Ellin, whose children’s names were all Welsh, and would welcome a daughter named “Oona” into the world a few months later. Ellin reminded my mother that as a child she had loved the name Isabel. It was unusual and anti-Jessica enough for my mother, so she moved on to the middle name. There was no consideration of grandmothers, childhood friends or even a favorite star from the BBC. 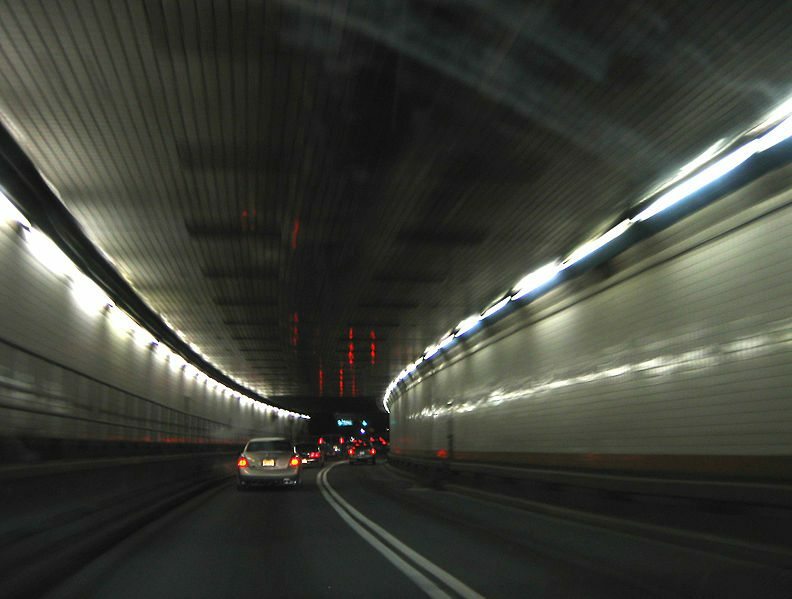 My mother flashed back to the time shortly before my birth, and then it came to her: I would be named after a tunnel.